Raleigh Periodontics and Implant Dentistry purchased a relatively small but prominently located site just north of Ravenscroft School on Falls of the Neuse Road with the intent of building a new facility for their dental practice. On a parcel less than 100 feet wide, the building required careful siting both to take best advantage of its visibility and to maximize available parking. 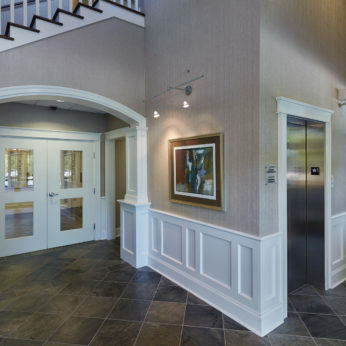 Working closely with Dr. Steven Hamrick, iS design’s solution placed the building close to the street for high visibility with site parking and the facility entrance located away from the thoroughfare. 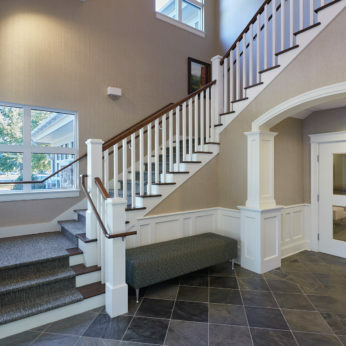 This solution created a sense of transition from the typical stress and disquiet of traffic to the entrance of the building and, ultimately, into the tranquility of the practice reception and patient waiting area. 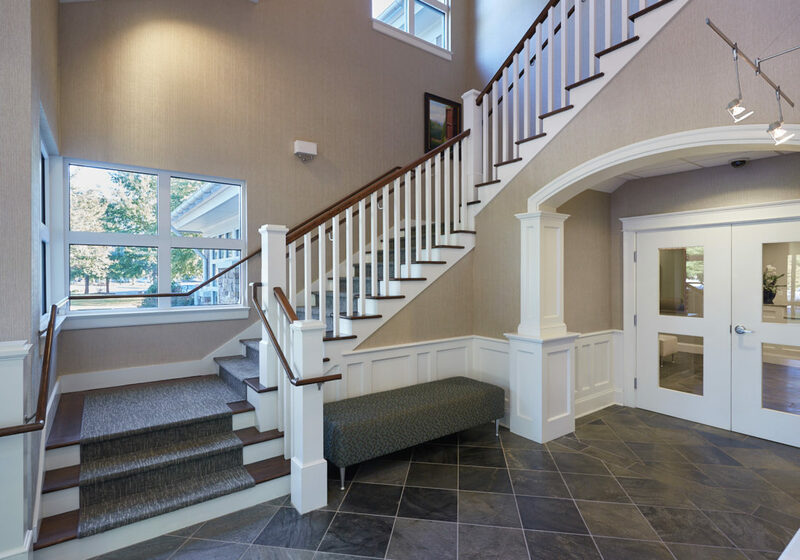 The shingle style aesthetic typically evokes a slow and romantic lifestyle which, in this case, is used in a contemporary interpretation to provide a subtle subconscious calming effect on dental patients as they arrive for an appointment. 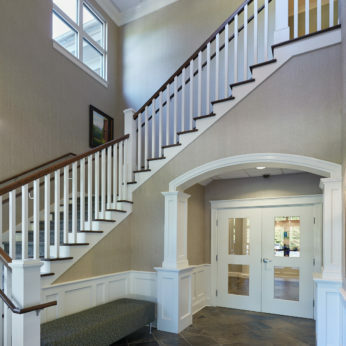 Shingle style elements were also used in the building’s interior to maintain a consistent design vocabulary throughout. 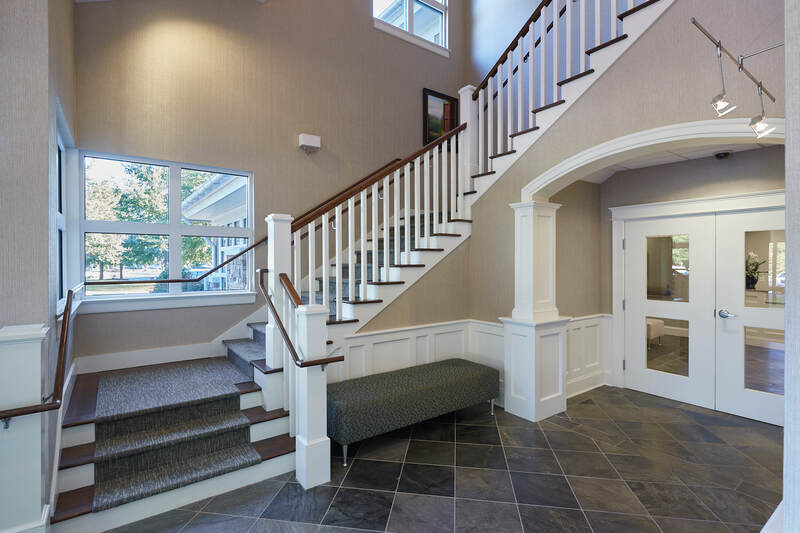 The building entrance lobby is a graceful double height space that includes an elegant custom stair with a balcony leading to the building’s second floor tenant, the Shanahan Law Group. 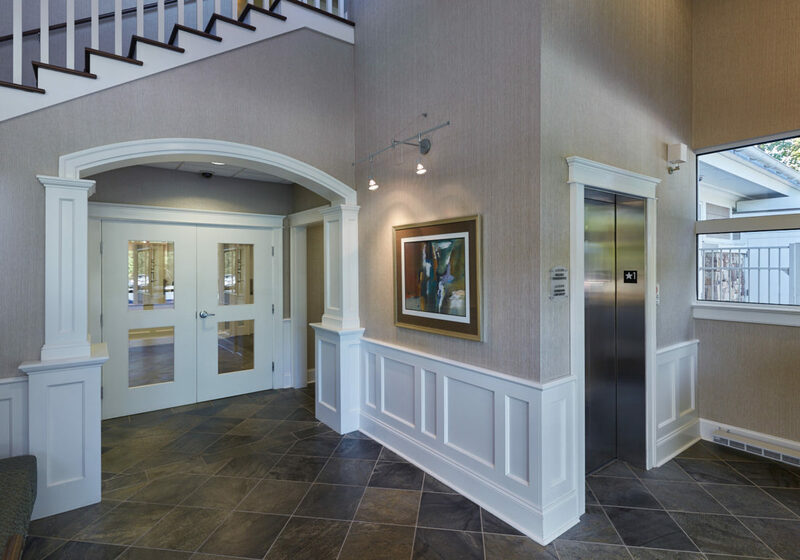 The facility’s generous windows on both levels provide abundant natural light as well as views of the surrounding site features. Angie’s team approach to architecture, design and interior décor works extremely well. 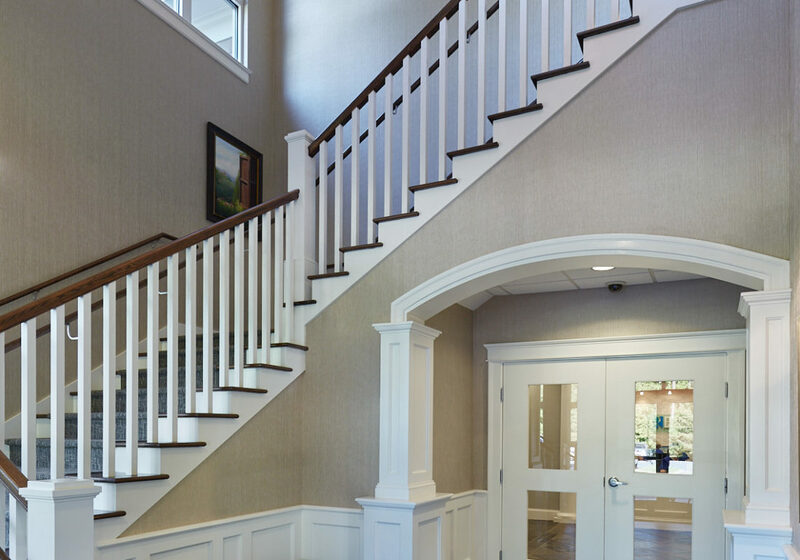 Angie’s design selections are so relaxing and welcoming, our patient’s rave about the look and feel of the interior. She really put the icing on the cake. I think everyone involved in the process has walked away proud of the results. I certainly have."